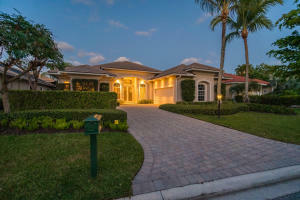 View all current homes for sale in The Island, Palm Beach Gardens, Florida. Click on a listing to the view property details, photos and maps. If you would like to change or expand your search criteria, go back to the Palm Beach Gardens search page, or try using our Advanced Search. The best totally unobstructed preserve, water, and sunset views in all of PGA National surround this first-class, 5BR/5BA + 2 dens + club room, bright & spacious, courtyard home, located in the exclusive, private & scenic community of The Island. This luxurious open-plan home features beamed ceilings with crown molding, large tile flooring laid on the diagonal, wall-to-wall windows and glass-paned French doors with clerestory windows above, a 1,000 bottle temperature controlled wine cellar, an elevator, solid core doors, thick baseboards, impact windows, and a saltwater pool. The gourmet kitchen has granite countertops and stainless steel appliances, while the 2nd floor master suite has incredible views through its panoramic windows and access to a screened-in balcony. THE IMPRESSIVE '' ISLAND'' IS ONE OF THE FINEST LOCATIONS IN PGA NATIONAL. SURROUNDED BY A 240 ACRE NATURAL PRESERVE, WITH ABUNDANT WILDLIFE. 24 HOUR MANNED GATE.EXCLUSIVE 4 BDRM PLUS DEN & 3 BATH, POOL HOME, OVERLOOKING POOL/PATIO & PRESERVE.WELL MAINTAINED WITH LUSH LANDSCAPING.GOURMET KITCHEN EQUIPPED FOR THE MOST PARTICULAR CHEF.UPGRADED INSIDE & OUTNEW ROOF 2013,DEN ADDITION WAS ADDED 2016, WITH IMPACT GLASS.NEW POOL HEATER 2017,NEW A/C UNITS IN 2017,NEW MAYTAG WASHER AND DRYER 2019.A QUIET & SERENE COMMUNITY, CONVENIENT TO RESTAURANTS, SHOPPING, TURNPIKE & I-95MUST SEE , BRING YOUR MOST DISCRIMINATING BUYER. 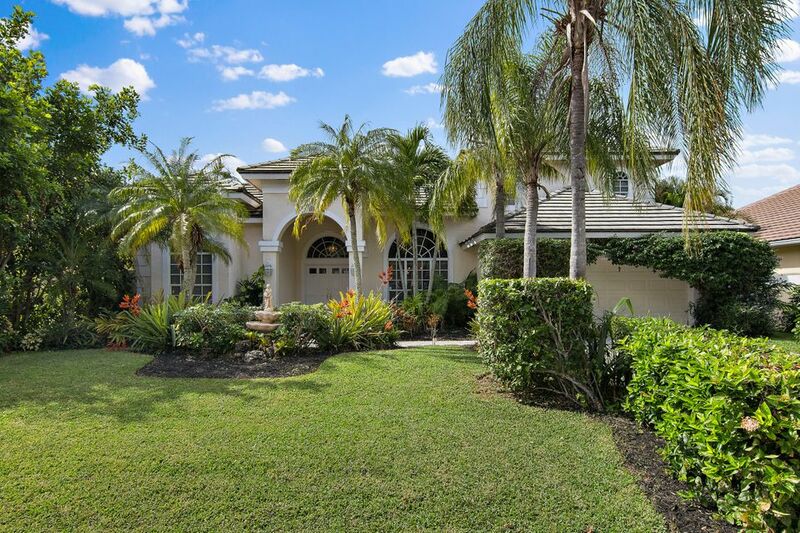 This Large 5 Bedroom Pool Home offers over 4,000 Sq Ft of Living Space. The Oversized and Open Kitchen Features Wood Cabinets, Granite Counters and Flows Directly Into the Family Room With a Fireplace. Relax and Unwind In Your Own Tropical Oasis Under the Large Enclosed Pool area With Complete Privacy and Soothing Waterfall. The First Level Offers a Master Suite and 2 Additional Bedrooms/ Den or Office, Formal Dining Room and Living Room. PGA National Offers Miles of Walking or Biking with No Mandatory Membership. Enjoy The Best Restaurants,Bars & Entertainment in Palm Beach Gardens. Beautifully updated, bright & spacious, 3BR/3BA + den, welcoming home with soaring ceilings and a very private pool & patio, located in the exclusive & scenic community of The Island in PGA National. This luxurious home has great utilization of space, a split airy floorplan, tray ceilings with crown molding, massive windows & glass-paned French doors with clerestory windows above, tile flooring, and an open-concept gourmet kitchen with 42'' cabinets, granite countertops, GE & Jena-Air appliances, and a large island with a breakfast bar. The oversized master suite has His & Hers walk-in closets and French door access to the screened-in patio & pool. This gorgeous, bright & spacious, welcoming 4BR/3BA home with a perfect open split floorplan was fully updated in the last 4 years with great attention to detail, and is located in the exclusive, private & scenic community of The Island in PGA National. The interior has wall-to-wall sliding glass doors and massive windows with pool views and patio access from almost every room, plus it has soaring 12' ceilings with crown molding and tile flooring laid on the diagonal. The open-concept gourmet kitchen has tons of cabinet & counter space and stainless steel appliances. The master suite is split from the 2 guest rooms and there is an additional private guest suite in the back of the home. The new screened-in patio has a resurfaced pool and a deep grass backyard. Fantastic opportunity to own in the exclusive Island at PGA National! 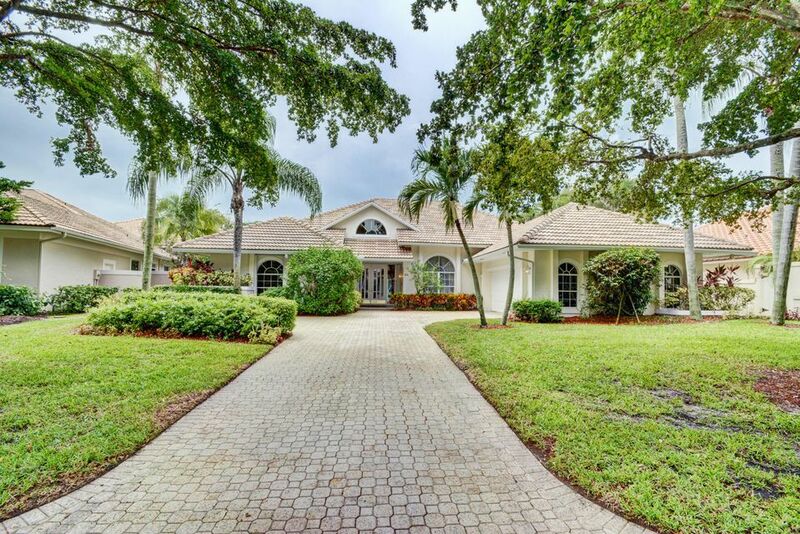 This 4 bedroom pool home boasts a summer kitchen, fenced in yard, and open preserve views. Steel tile roof installed in 2005 and has 150mph hurricane rating. Hurricane shutters for all doors and windows. 4 bedroom split plan with a private guest suite. Home has a spacious open flow and floor plan. The Island is a fully guard gated section of PGA National, which offers optional membership, not mandatory!